Trained by Nicky Henderson and ridden by Nico de Boinville, the four-year-old son of Motivator, travelled with menace throughout the two-mile contest and responded willing in the closing stages to master long-time leader Fakir D'oudairies (5/2), trained by Joseph O'Brien and partnered by Mark Walsh, to score by a neck. Pentland Hills, formerly trained on the Flat by Chris Wall, is unbeaten over hurdles for the Seven Barrows maestro, having also captured a maiden hurdle at Plumpton in February on his first start for the Lambourn handler. Pentland Hills is the latest horse since Defi Du Seuil in 2017 to win both the JCB Triumph Hurdle and G1 Doom Bar Anniversary 4-Y-O Juvenile Hurdle. 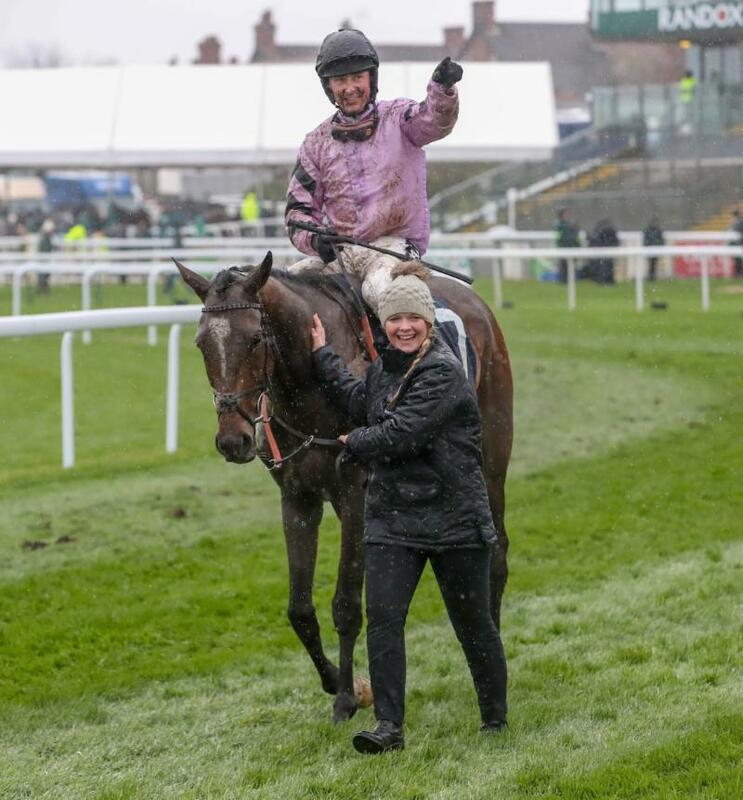 Britain's champion Jump trainer said: "Pentland Hills has had has three races in not much more than five weeks but he was tough there - he travelled well through the race and had a battle on, but he toughed it out. I am thrilled with him and he has been an absolute star all the way through. "He made a right mess of the first at Cheltenham, when I thought Nico was going to come out through his ears. I thought 'Henderson, you are an idiot, you cannot run a horse at Cheltenham with only one run under his belt - that's was happens with no experience' and actually he was brilliant from then on. He was so quick and clean through today as well. "What about running him on the Flat because he is awfully well-handicapped? I don't know - I would like to treat him as a proper hurdler and I would be pretty sure that we will put him away. "You know what it is like for these four-year-olds coming into their second season. How many times have we seen the winner of the Triumph Hurdle or this race - we won here with dear We Have A Dream last year and sadly we lost him this week - and you never know who goes on. Some can and sometimes they just find that second year terribly difficult. "I can't say that Pentland Hills is not a Champion Hurdle horse - I would love to think he is - and I think there must be improvement in him as well with a summer out. It's a matter of whether we treat him as a jumper but it must be tempting to have one look at the Flat with him, although I am a jumps trainer." Henderson also provided an update on Randox Health Grand National contender Valtor (11st 6lb), who will be partnered by Daryl Jacob in the world's greatest chase. He added: "Valtor is in good form and enjoyed jumping the Grand National fences the other day in Lambourn. He went up 16lb winning at Ascot on his debut for us and that is not how you win a Grand National!" Pentland Hills is a 12/1 shot with Betway, 16/1 with Betfair and 20/1 with William Hill for next year's Unibet Champion Hurdle at the Cheltenham Festival. Fakir D'oudairies earned a quote of 25/1 for the Champion Hurdle with William Hill. Nico de Boinville expressed his delight after the Nicky Henderson-trained Pentland Hills followed up his Triumph Hurdle success at the Cheltenham Festival with victory in a second Grade One, the Doom Bar Anniversary 4-Y-O Juvenile Hurdle. The Motivator-sired Pentland Hills was having only his third race over hurdles. He beat the Joseph O'Brien-trained Fakir D'Oudairies by a neck at odds of 11/4. De Boinville said: "It was a great performance. Although we've gone a good gallop, it still got a bit messy in mid-field and he's really toughed it out. I probably went a bit early - that last hurdle is a furlong and a half back [from the winning post] and you really don't want to be in front until after it. But what a gutsy horse he is, and what a great bit of training. Three runs, three wins and two Grade Ones in five weeks. "After Plumpton I thought he was a really nice type; he really took me. I thought that was my best chance of the week coming here. He was so slick; I was really delighted and we'll have to be thinking the Champion Hurdle way now. "The rain has got into the ground and it is soft now, I would say, definitely very soft on a Flat horse like this." Asked for his thoughts on his Randox Health Grand National ride, Step Back, de Boinville said: "I'm really looking forward to it. I've got a pretty awful record in the race - two rides and I've come down at the first fence on both occasions. If you can't be happy on a [Mark] Bradstock-trained horse round here, you'll never be happy. He's in good order, so fingers crossed for the Bradstocks." Jockey Mark Walsh had no complaints after the Joseph O'Brien-trained Supreme Novices' Hurdlle fifth Fakir D'Oudairies (11/4) made JCB Triumph Hurdle winner Pentland Hills (5/2) work hard for his neck success. Walsh said: "I've no excuses - he's run his heart out. We had the run of the race and we were just beaten by a better horse on the day. I was delighted with him." Frank Berry, racing manager to owner JP McManus, echoed those sentiments when he said: "He ran a blinder and there were no excuses. The first two were clear and look like two good juveniles." Paul Nicholls, trainer of the third home Christopher Wood (10/1), said: "He ran really well - it is a shame the rain came as he would be better on better ground. "I wouldn't mind coming back next year and perhaps have the chance to take them on again on better ground. "This is only his third ever run. He is in the novice handicap at Sandown at the end of the season, and it is worth quite a lot of money. "He will be a better horse next year when he has had a bit more time." Jockey Harry Cobden, added: "He ran a blinder - though he didn't really want the rain, but it is what it is. He will be a lovely horse next year." The O'Brien-trained favourite Band Of Outlaws (9/4) finished only fifth, beaten 11 lengths.